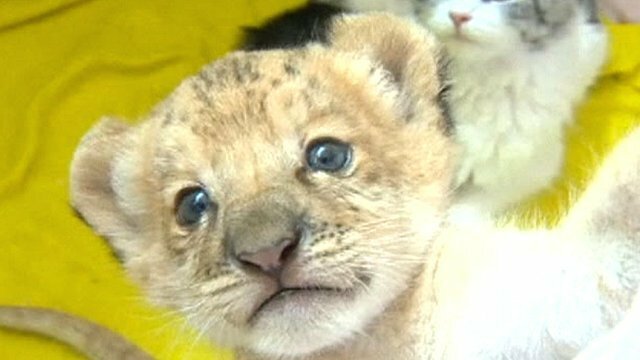 Dog adopts abandoned tiger cubs Jump to media player A dog called Tally has adopted three tiger cubs after their mother abandoned them after giving birth at Sochi zoo in Russia. 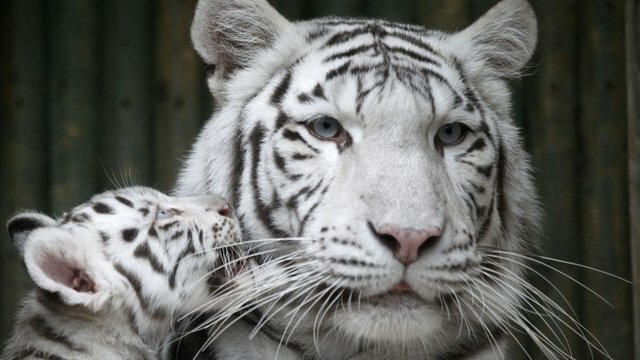 Zoo unveils rare white tiger cubs Jump to media player Three rare Indian white tiger cubs have been shown to the public for the first time, at Liberec Zoo in the Czech Republic. 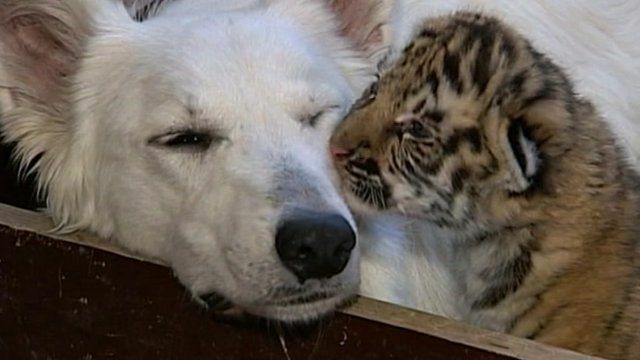 A dog called Tally has adopted three tiger cubs after their mother abandoned them after giving birth at Sochi zoo in Russia. Vets advertised on the internet that a feeding dog was being sought. Tally now treats the cubs as if they were her own puppies. Nicholas Owen tries to explain the unusual set-up.